News of this new quiet little drinking den at the famed Chateau Marmont comes to us from the blog Urban Daddy. And so excited are we here at Ask A Man Too that we’re off to check out this news for ourselves this very evening. 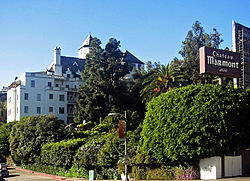 On Marmont Lane off Sunset Boulevard in Hollywood sits the majestic and historic Chateau Marmont, dominating the area since 1929. 1. You can’t ask for it by name. It doesn’t have one. To get there, head toward where the private dining room used to be—behind the thick brown curtains, a little enclave of gleaming wood, leather cabinets and crystal tumblers. Discretion past discretion behind discretion. 2. The vibe is super-intimate. There’s a pair of two-tops and a pair of booths for four. That’s pretty much it. 3. You gotta know somebody. As in, there’s a list. As in, someone will probably have to invite you—or you’ll need to be a hotel guest—if you want to get on it. But yeah, they’ll take reservations if they like you. Yes. You are at Chateau Marmont. 4. The cocktails are solid. Try the La Fume de Jalisco, with mezcal, Aperol, lime and habanero-infused agave. Or the Professor, with gin, blood orange and fig bitters. Nothing says discretion like fig bitters. 5. You can do whatever you want. Say you meet a pair of attractive producers looking for a good time. Say you get a room. Or you don’t. Whatever. 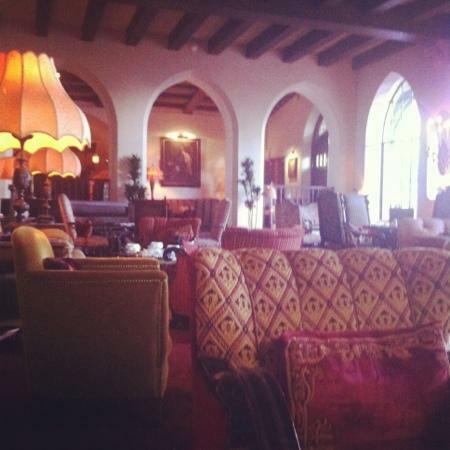 What happens at Chateau Marmont stays at… well, you know. Featuring both intimate indoor dining areas as well as the perfect garden terrace. 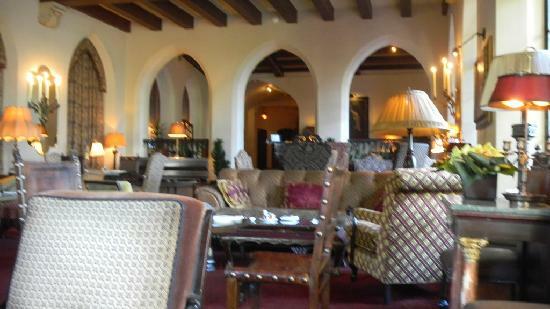 The lobby at the Chateau – the place you can call home when all else fails you. On March 5, 1982, John Belushi died of a drug overdose in one of its garden bungalows. Jim Morrison used up what he called “the eighth of my nine lives” after he hurt his back there dangling from a drain pipe and falling onto a shed while trying to swing from the roof into the window of his hotel room. When Montgomery Clift was almost killed in a 1956 auto accident near her home, Elizabeth Taylor brought him to the hotel, where she leased the penthouse for his recuperation.